No external judge was needed for last night’s Annual PDI Knockout Competition as it was the turn of members to decide. By a show of hands for each of the 80 plus images projected two at a time, members chose their ultimate favourite. At times choosing one image over another was a very close call but one by one they were rejected and after nearly two hours of voting we arrived at the final two. 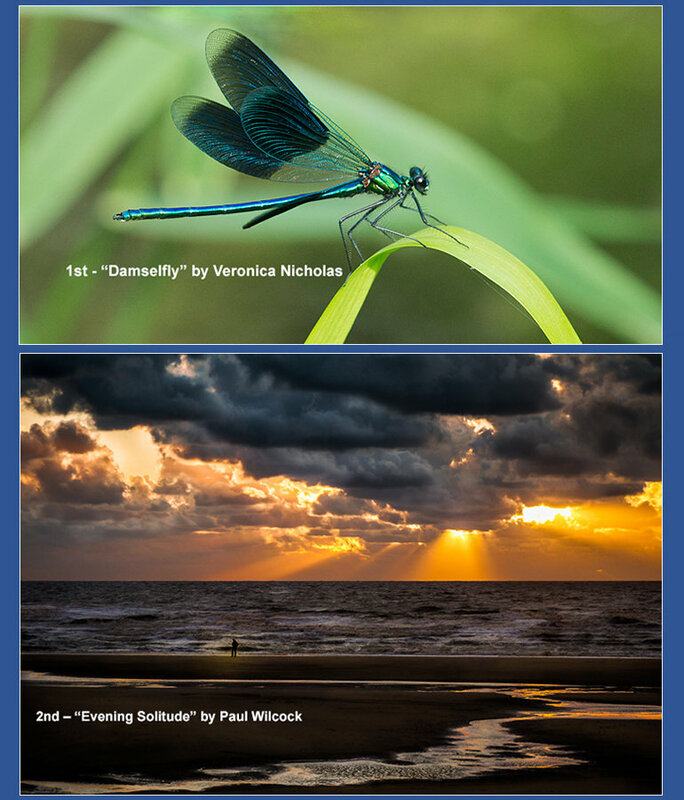 Veronica Nicholas’s resting “Damselfly” just had the edge over Paul Wilcock's moody “Evening Solitude”. Chairman Ray Hill congratulated Veronica and Paul and thanked everyone for providing such an array of diverse and high quality images. Several long-term members commented to me that this was the best year yet for this light-hearted competition.